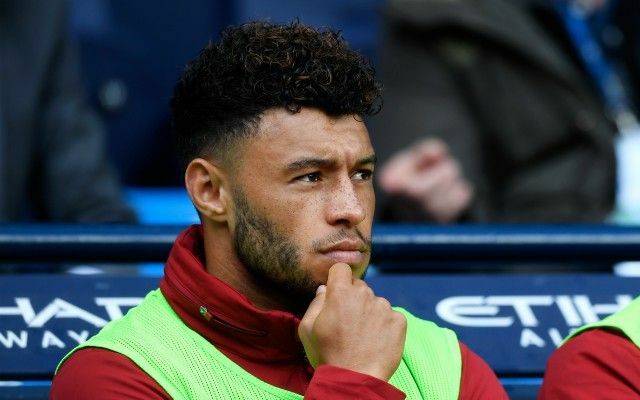 Liverpool midfielder Alex Oxlade-Chamberlain has compared working with current manager Jurgen Klopp to his time spent under Arsene Wenger at Arsenal. The England international only joined the Reds this summer, but has already picked up on one thing that makes the two coaches very different. While he wouldn’t say he preferred one over the other, Oxlade-Chamberlain did hint that one of Wenger’s apparent weaknesses is in fact true. The 24-year-old believes Klopp puts more emphasis on clear roles in his team, and that he is extremely demanding of how intense he expects them to be on the pitch. This is in contrast to a rather slack Arsenal side, who are widely seen as having under-achieved under Wenger for many years now. ‘Arsene is a great manager and he’s proved that for many years,’ Oxlade-Chamberlain told Sky Sports. ‘His philosophy and style of play is based on the ‘Arsenal way’ of playing, with his passing game, which is brilliant and works very well for him. Liverpool finished above Arsenal last season but neither side has made the best of starts to this season and will be disappointed to most likely be out of the title running already.